Great products like ipods and LCD televisions can be exchanged for points. Gain 1 point for every pound you spend. Regular special deals for card holders. 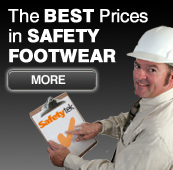 The Safetytek Advantage Card is available for corporate orders with credit accounts only. Products offered are subject to change with products with a similar value. Call our sales line and apply today!